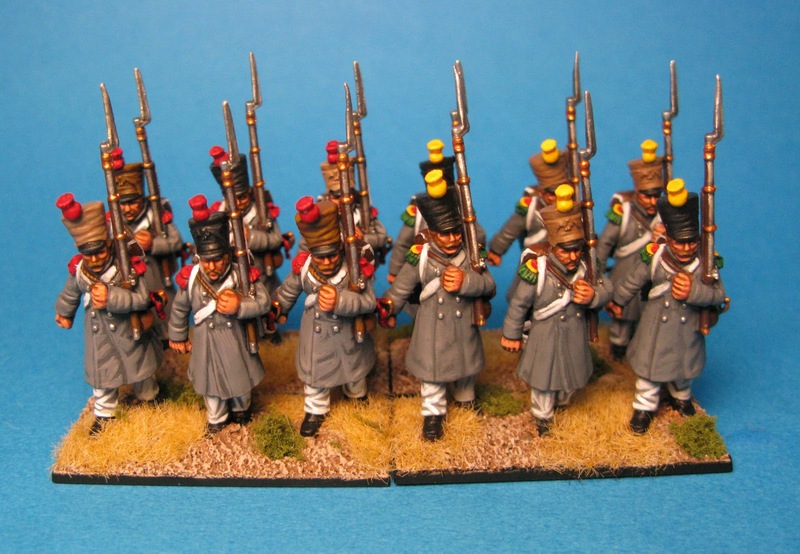 Gentlemen, I present to you the 57e régiment d'infanterie de ligne! 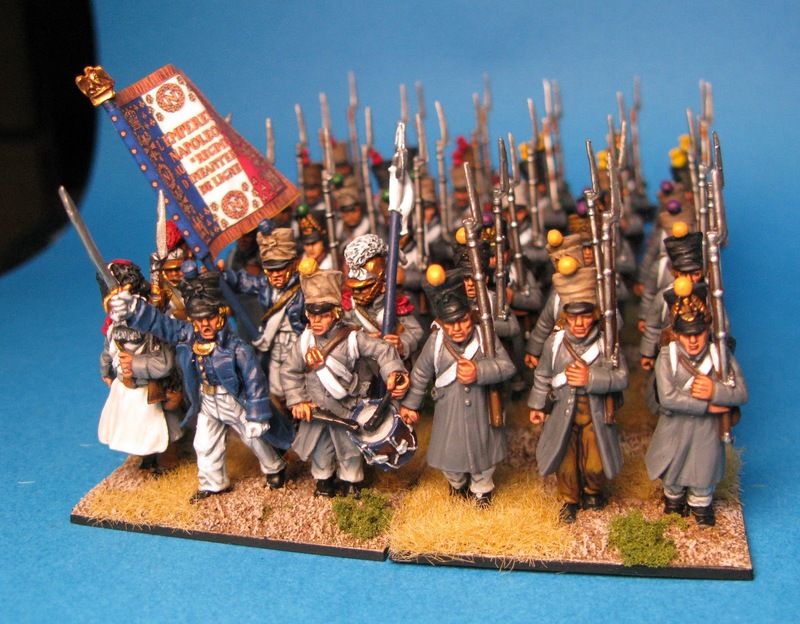 To be honest the reason I decided to paint this unit was quite simple; I saw this regiment's nickname "le terrible que rien n'arrête" which roughly translates as "the Formidable/terrible that nothing can stop" and I decided to paint them! After all, you must agree that this is a pretty catchy name for a regiment. Lets hope they prove themselves this coming Sunday in our monthly game! It appears that this regiment has a rather long history. A quick search on wikipedia revealed that the 57th was first raised in 1667 and has served ever since in the French army. During the Italian campaign and in particular in the battle of Favorite 1797 (??? this is wikipedia not me...) they earned their nickname when they repeatedly charged the Austrians despite heavy losses. 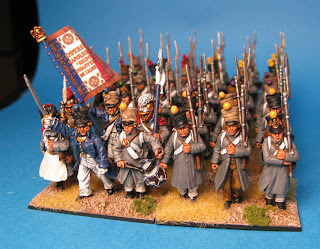 I believe this is a really good unit to have in one's collection because they fought at most of the major battles of the Napoleonic period: Ulm, Austerlitz, Jenna, Eylau, Wagram, Leipzig and a number of other battles. All figures are Perry. The command are metal and the rest are plastic. They are all in Bardin regulation uniforms although the greatcoats hide most of the details. 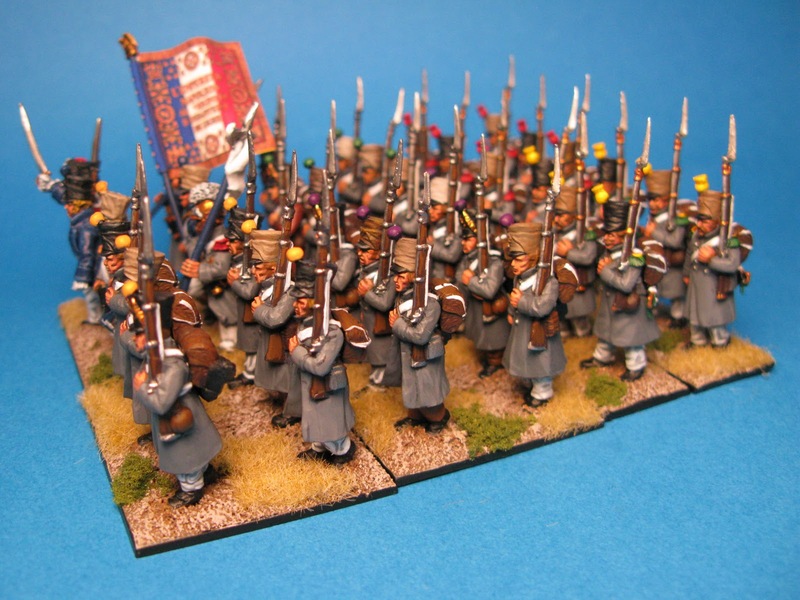 I have to admit though that greatcoats make a painter's life so much easier and the result is still very nice! 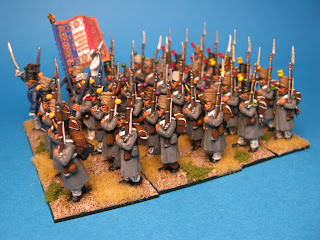 I initially painted 36 figures and in time I am planning to paint the second and third battalions.The flag is from GMB. The more the merrier! Pete has ordered some British, so the arms race must continue. I hope I can get the Irish regiment to join us this weekend... I am working double time on that. 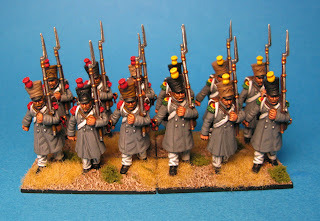 I am afraid though that I won't finish the Russians on time..
You guys looked a little thin on the French infantry for making frontal attacks. These guys should do the trick. Thank you Giles and Paul! Looking forward to see your work!